Ever since The Bridge finally closed for business, the Scandi noir crown has been looking a little lopsided. With the mildly diverting but firmly flawed Greyzone, it appears to have finally slipped. 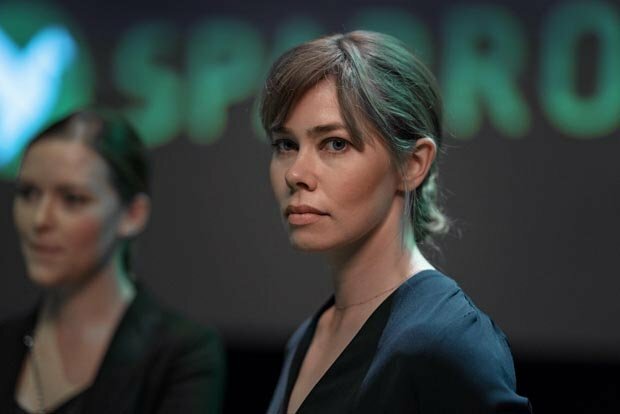 While the entangled personal tales of Saga, Henrik, Martin and co added extra layers to the already substantial crime fiction at play over The Bridge's four seasons, Greyzone's charms are of a far more simpler variety. The show's writers have simply tacked on pointless back stories for their investigators to give the impression of depth, while the core drama is irritatingly repetitive and oddly lacking in suspense, despite an obvious potential for nail-biting set pieces and tension-rife cliffhangers. A successful software engineer at tech company SparrowSat, Victoria (Birgitte Hjort Sørensen aka Borgen's TV journalist turned political communications director Katrine Fønsmark), is also a single mum to the ludicrously adorable Oskar. When the pair are effectively taken hostage in their own home by Iyad (Ardalan Esmaili), a key figure in an Islamist terror cell, their lives are in a permanent state of risk with Victoria being set off on missions to help the terrorists capture and activate a deadly drone. When the security services manage to uncover this plot, their actions merely put added pressure on Victoria rather than rescue her from this parlous situation. Almost reluctantly, we see Iyad adopt the veneer of a ruthless criminal so that when his own personal story eventually leaks out, the pair plunge headfirst into a textbook spot of Stockholm Syndrome (and where better to be struck down by that than in a Scandi drama?). Aside from the increasingly tedious fact that here we have yet another European crime drama with Muslims as the bad guys, this curiously lazy show telegraphs its moves and delivers neither shocks nor thrills. While 24 may have had more than its fair share of problems, its writers knew how to crank up an audience's blood pressure, and this tale would have been wrapped up in an episode and a half at most, rather than be strung out for ten lengthy segments. Greyzone is weekly on Channel 4 from Wed 13 Feb, 10.45pm. All episodes are available on All 4 after episode one has aired. Plodding script. Multiple continuity errors. And yes the subject matter is very boring. Am enjoying GREYZONE = pacy character driven and well written.